This is not a normal winter in T or C. It’s cold. So cold a few flakes of snow fell, enough to decorate Turtleback Mountain with white stripes way up near the Turtle. I thought I wouldn’t be able to stand running when the temperature was below forty, but I missed the beauty of the trail, the open space on all sides, and the effect on my creative flow, so I gave it a try, wearing so many layers a northerner would have laughed had one seen me. Not bad after all, thirty-seven degrees. Another day this week was windy, almost like spring. I went out anyway. Half-way through the four miles, I realized I felt good enduring the challenges, better than if I’d done something indoors instead. It was good to be reminded that thinking about doing something difficult is often more stressful than actually doing it. 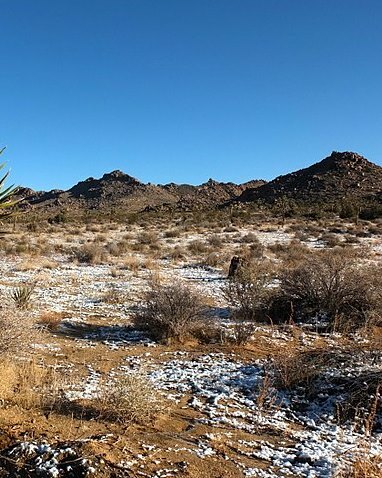 Posted on January 1, 2019 Categories Behind the Stories: Inspirations and EncountersTags beauty, desert snow, stress management, trail running, winter in New Mexico2 Comments on Cold! Wednesday was an insanely busy day. I moved back into my place over the Labor Day weekend. The bad neighbor is gone! But I’ve had a lot of catching up on my life to do. The last thing I felt like doing was laundry. It’s the one aspect of retiring and downsizing that’s been unsatisfactory, because I have no room in my otherwise perfect apartment for laundry machines. I’ve adapted to the laundromat as well as I can. I bring books and magazines and read outside, I take walks, or sometimes I bring my exercise tubing and work out, but I still don’t like it. On this super-busy day, the laundromat was also busy, full of people doing noisy things on their phones, and there were noisy activities outside too. I read, but it wasn’t peaceful. I ran an errand while my clothes were in the dryer. More busyness. 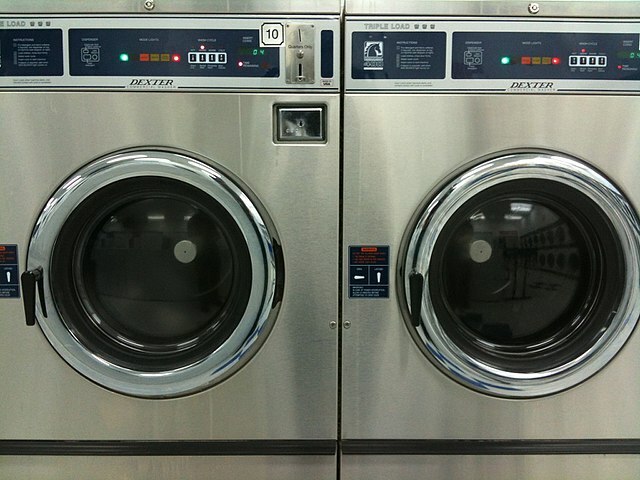 When I got back, one of the dryers hadn’t started when I thought it had, so I had to restart it and wait longer. Normally, I do a meditation practice with mudras late at night, to clear the day away and cleanse my energy. I did it there, in the laundromat. The only other remaining customer had gone outdoors. I didn’t care if she came back in and saw the mudras, though. This is T or C, after all. People here talk with strangers freely, and she’d already shared something pretty personal in our short conversation. I was free to be myself. All the churning and spinning of machines echoed my state of mind. 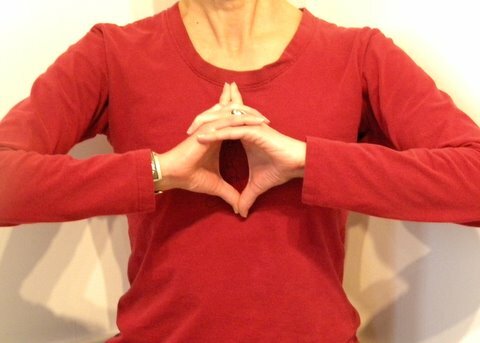 Then, five minutes of mudras in mountain pose in front of that misbehaving dryer changed everything. The washing was done. Inside me. Enjoyed this post? 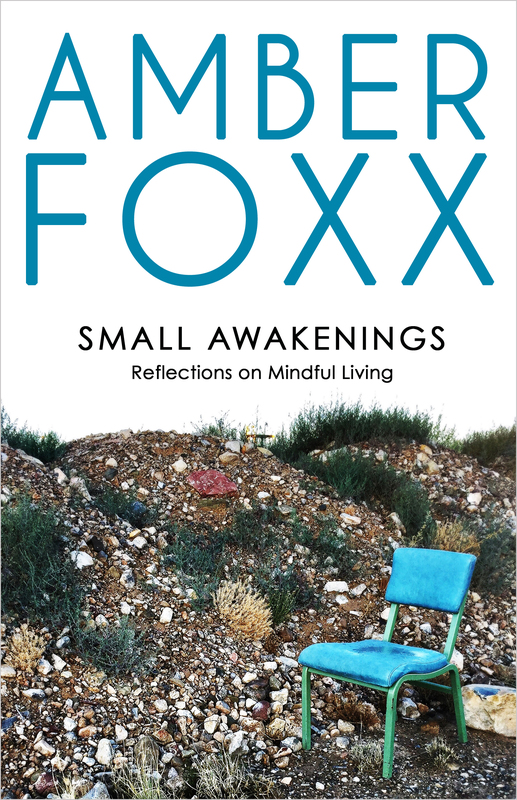 You may also like Small Awakenings: Reflections on Mindful Living. On a recent trip that took me through three guest rooms in three nights, I forgot my evening meditation and journaling practice. I barely kept a journal, and what little I wrote in it was about other people. The interesting people I met at my reading and book signing. What great hosts and wonderful people I was with. Thoughts on how the friends I visited were doing. No inner work. I took time daily for asana practice in the morning and I also found time to write fiction, though only a paragraph or two, but I ended my day turned outward still. How strange. I made the commitment years ago for an evening practice and yet I simply forgot. By the time I was on my way home I realized how important that commitment was. A young man of about nineteen stood between the two cars, blocking my exit and glaring at me. I said that nothing had happened, and showed him. My door had touched the hard plastic rim over the wheel well of his Jeep, a protective surface I suspect is there for off-road driving, though this Jeep looked new and shiny, as if it had never done what it was designed for. He demanded an apology. Something about a kid the age of my freshman students acting like an angry parent with a misbehaving child over a non-event rubbed me the wrong way and I got sarcastic with him. “Sir, I most humbly apologize that my door ever so lightly tapped your Jeep, doing no damage whatsoever.” He told me I didn’t have to be like that. I told him he hadn’t had to be a jerk. (The only common sense I had left kept me from calling him something more offensive than jerk. I noticed my inner editor canceling out the A-word.) He denied being a jerk and told me to be more careful in the future. I told him not to be so angry in the future and walked off to the picnic table. Thus the interaction ended with both people still wanting to be right. No communication. As I set up my dinner, I could see him standing between our cars, studying mine intently. What was he looking for? Evidence of a chronic, habitual parking lot door-hitter? My car was a mess inside, full of the detritus of traveling, and I have a New Mexico habit of not wasting water washing it, so it’s got a nice coat of dirt, but it’s not full of dings or other people’s paint. Perhaps he was peering at the empty Perrier and iced tea bottles, hoping they would turn out to have contained something stronger. I didn’t ask, just watched him, and he finally drove off. It’s possible he was driving his parents’ car and was paranoid about damaging it, and acted toward me the way they would act toward him if it got a tiny scratch. Or maybe he’d saved up for a fancy car and is anxious about it. I don’t know. What I do know is that my pause-to-check mechanism was rusty. My capacity to step back and reflect instantaneously, to recognize that his hostility was his and that I didn’t need to be reactive, was weakened by only a few days without real reflection. I could have simply acknowledged him. He seemed menacing at first, blocking my way and starting with an accusation, but that’s all the more reason I could have and should have handled the situation better. After all, he was a kid. It was my job to be the adult. Before I drove on, I wrote a journal entry on some scratch paper, processing all my thoughts and feelings. When I got home, I appreciated the depth and value of my night’s meditation and journaling practice. I need to do all these things to keep myself on track. 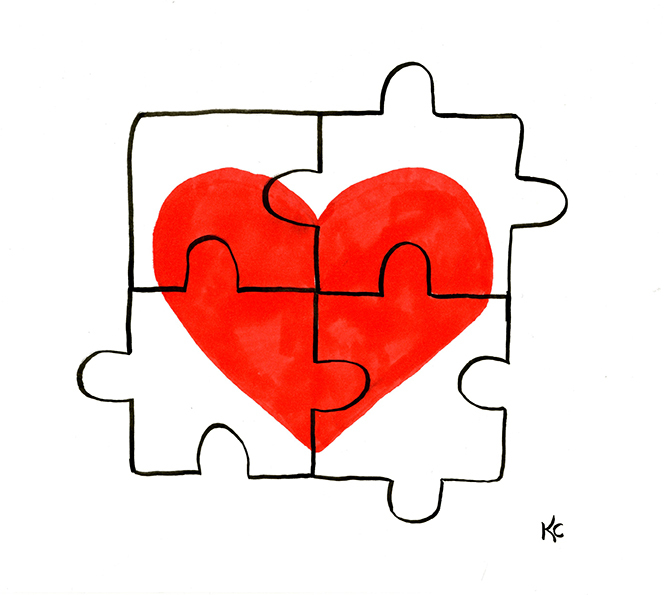 Yoga asanas, writing fiction, writing a journal, and meditation. I don’t function at my best without deep down time. 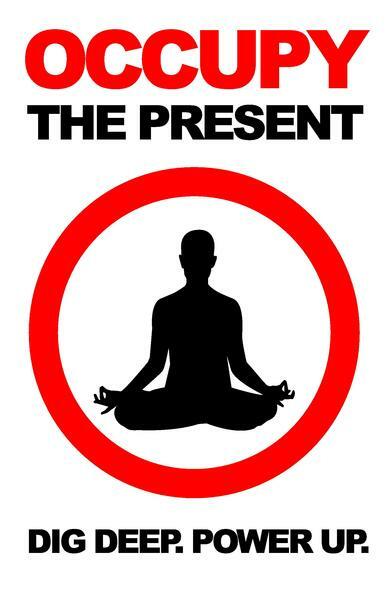 Not distraction or entertainment time, but inner time. It doesn’t have to take long to go deep. I don’t think I’ll forget again.